A group of Canadian space buffs wants to make a hockey puck boldly go where no hockey puck has gone before: the surface of the moon. The Vancouver group is one of 29 teams from 17 countries competing in the latest race to the moon: the Google Lunar X Prize, an effort funded by the web giant to encourage commercial space development. Teams on four continents are trying to land a spacecraft on the lunar surface before the end of 2015 in order to win a chunk of the $30 million US in prize money. The goal of competitors is to send a robot to the moon which travels at least 500 metres and transmits video, images and data back to Earth. Some teams are backed by global heavyweights like aerospace firms; others, like the Vancouver team nicknamed "Plan B," are upstart outfits working to scrape together enough funds to compete. Alex Dobrianski, Plan B's team leader, says it will take him 18 months to complete full development of his lunar craft. He says it should be ready to go in early 2013 and he is hoping to launch two missions that year. Lessons learned from the first trip will be used to work out mistakes in design, errors in calculation and bugs in software. He admits the exercise is somewhat of a long shot. "Maybe there's a one in 100 chance that it will succeed," Dobrianski said. The last time a man-made spacecraft set down on the moon and actually returned to Earth was in August 1976, when Russia's Luna 24 came back with samples. NASA's website says about a dozen probes have orbited the moon since then and a couple were even deliberately slammed into the surface. The last human visitors arrived on Dec. 11, 1972, when the Apollo 17 module landed with American astronauts Eugene Cernan and Harrison "Jack" Schmitt. Dobrianski, who runs Adobri Solutions Ltd., a computer software consulting firm, has assembled a team that includes his two sons, Sergei and Andrei, who work in high-tech industry, and Alex Ivanov, a 52-year-old friend and engineer. They need to raise the minimum $1 million required for each launch; Dobrianski says he has $100,000 saved up so far. Once the financing is in order, the team can move on to other questions — like whether it will use a commercial rocket-launch company or put its payload on an American or Russian rocket. Then there's the hockey pucks. Having lived in Canada since emigrating from Ukraine in 1995, Dobrianski is well aware of the symbolism of including that piece of vulcanized rubber in his project. "I'm almost 15 years in Vancouver and I'm just curious who will be faster: I will send a puck to the moon or the Vancouver Canucks will win the Stanley Cup," he quipped. The pucks are about much more than symbolism, however; they also carry a utilitarian function. Dobrianski says three pucks would be mounted on the vehicle's motors and would help provide stability, to keep it from tipping over. "When you need to orient a probe, the normal way is to use a special weight," Dobrianski said. The hockey-puck-laden vehicle would be competing against a number of U.S. teams — along with many European squads from Spain to Romania, along with China, Russia, Israel, Chile and Brazil. The teams consist of space entrepreneurs, university researchers, scientists and computer engineers. The first team to land will claim the $20 million US grand prize, while the second team will earn $5 million. There are also $4 million in bonus prizes for accomplishing other tasks, like finding water on the moon. 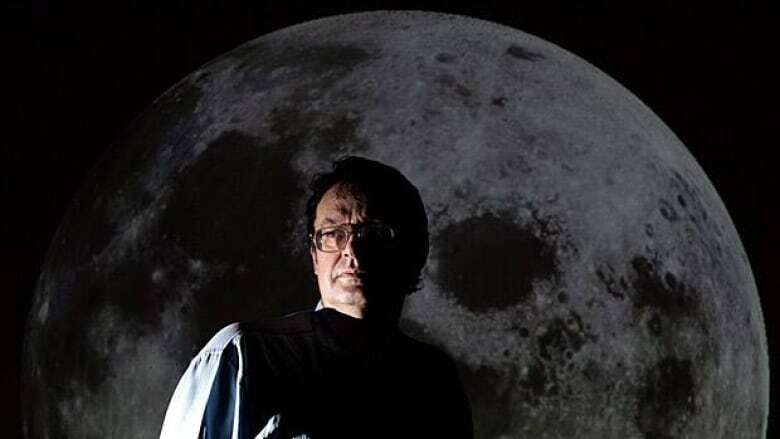 Canadian-born Bob Richards set up two teams: the first one was Odyssey Moon, based on the Isle of Man in the U.K., as well as Moon Express of Silicon Valley. The space entrepreneur, who's team leader of Moon Express, says he was also close to starting up a Canadian competitor, but had to go south because of greater "availability of capital." Ramin Khadem, a Canadian now living in England, is chairman of Odyssey Moon, which was first announced in December 2007. "As the first official contender in the Google Lunar X Prize, we share its goals — the long-term responsible development of the moon for the benefit of humanity," he said in a statement. Canada's MacDonald, Dettwiler and Associates, (MDA), which provided the Canadarms on the U.S. space shuttles and the International Space Station, is Odyssey Moon's prime contractor.